Ranganath works for a Cable TV company. Despite his limited means, he wished to adopt children, and give them a better life as a part of his family. 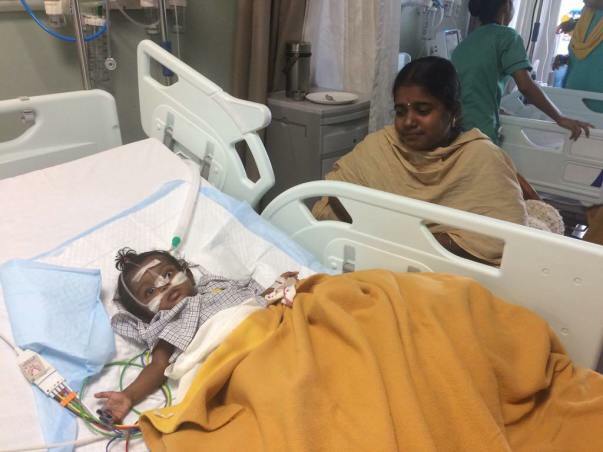 However, Yashika started falling ill when she was 2-months-old. The baby could never get breast-milk. The doctor told her new parents that she must be given supplements to make up for the nutrition. Since they could not afford the supplements, the couple settled for packaged milk, going for the best brand they knew of. Unfortunately, the child developed an infection and started having trouble breathing. She was only 2-months-old. Due to Ranganath’s good nature, a lot of friends came forward to support him. 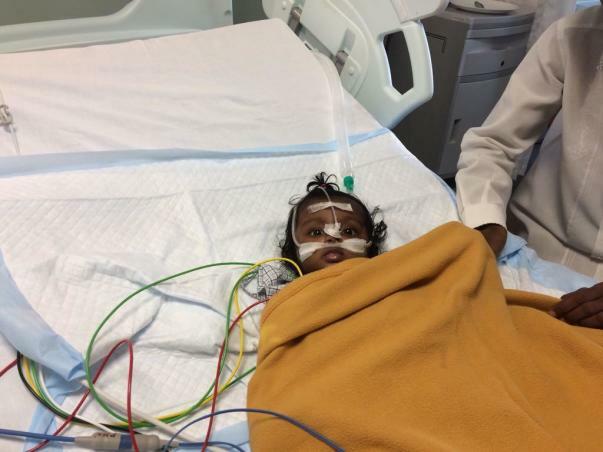 The hospital also provided treatment to his little daughter at a very subsidised cost. She is now in the PICU, struggling to even breathe. Yashika has been struggling for 3 months now. About 1 week back, she started having trouble breathing again. Upon rushing her to a local doctor, the parents were told their baby needs specialized medical care at a bigger hospital. Now, she is in the PICU, kept alive with respiratory support. The infection is severe, and the little one’s condition is worsening with every passing day. 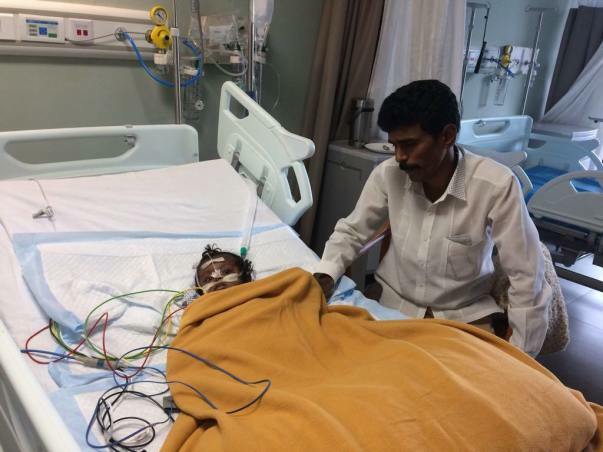 Ranganath has exhausted all his resources, trying to save his baby daughter. His friends have helped him the best they could. 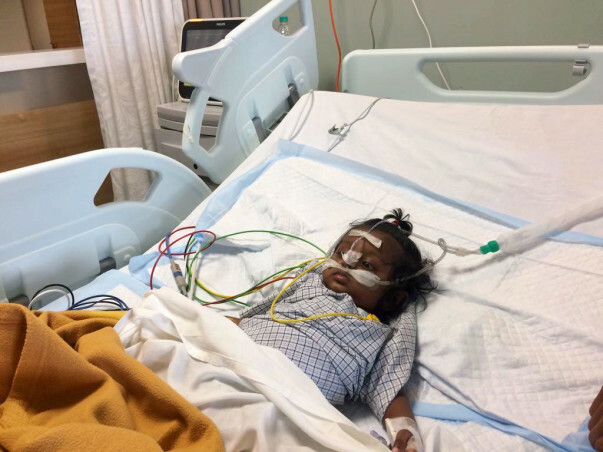 The treatment and PICU care must be continued in order to save little Yashika. This would cost about a Lakh, an amount too huge for Ranganath. 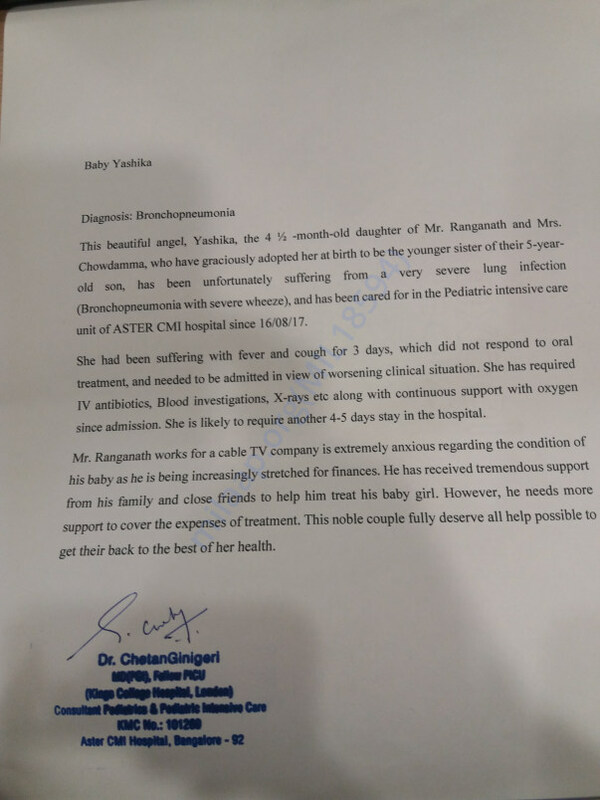 Any contribution can help Ranganath keep his promise to his daughter!